Formerly known as the Harvest Moon series, Return to Popolocrois: a story of seasons fairytale looks to combine two big worlds and create one deep adventure. So how does it fair in our review? 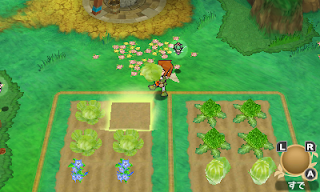 As mentioned earlier, it used to be known as Harvest Moon before changing to the Story of Seasons series. Why this is? I'm not really sure, however one thing I do know is that I was coming into this completely fresh, but the charming look of it did remind me of another RPG that really grabbed me and that was Ni No Kuni. After suggesting that Pietro travels to Galariland to learn first hand how to defeat the creatures, he is trapped by Marmela with no way to get home. It is now up to Pietro to find a way to save both the land of Popolocrois and Galariland. The narrative is pretty basic and has been done many times before, however for what we are shown its a safe way to go about it. We get glimpses of character development but nothing to really take note of which is a shame. Got to look after your crops. The game is a mash up of two genres. 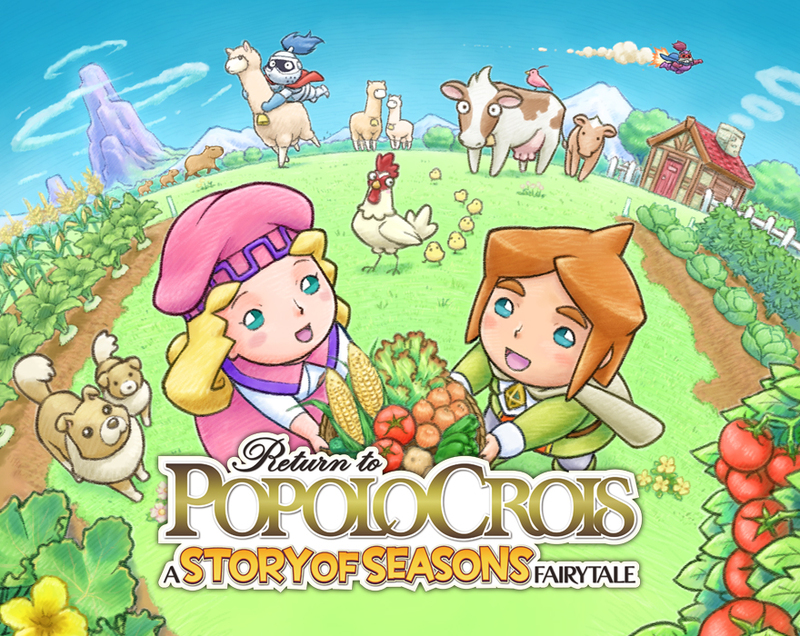 The Popolocrois part being the RPG segments and the Harvest Moon bit being all about agriculture. Its an interesting mix, so when adventuring tires you out, you always have your peaceful plot of land to return to and grow some crops to de-stress. During your journey you will find other small plots of land that have been taken over by the darkness and once you defeat the sort of mini boss within them, it becomes free to plant crops on. Combat is pretty simple and works using the turn based aspect. Each character you select can move a certain amount of steps forward, similar to a chess board and the range of movement increases the more that character levels up. Along with your standard melee attacks, you also have available to you magic attacks that use up your MP. 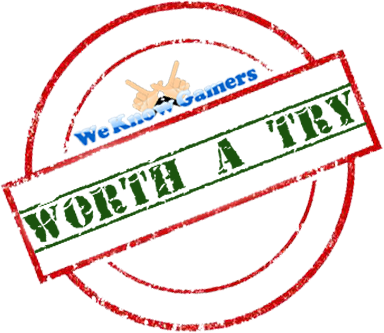 New abilities can be gained through playing the game and depending on who you have in your party, you can even team up for some combo magic attacks. Characters level up by defeating your enemies, however you can also strengthen them by equipping items or buying them from the shop. This helps increase their stats in the way of attack, defence and even how resistant you are to certain magic types. One part of the game that really didn't make sense to me was the idea of building "relationships". Speaking to certain characters will spark up interesting conversations and with that, you can visit them often and give them gifts to keep them happy. The odd thing is that nothing really comes from this and so, makes it seem like it was added as a random extra thing to do. 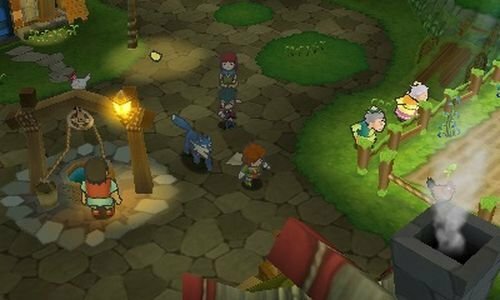 Return To Popolocrois: A Story Of Seasons Fairytale is a good game, but unfortunately doesn't quite match up to the more expansive RPGs out there. The story leaves more to be desired, but the characters are unique and fun to use. 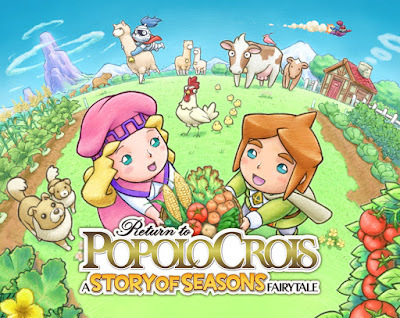 If you are looking for a light hearted RPG or even if its your first game in the genre, then Return To Popolocrois: A Story Of Seasons Fairytale is a good start. However if you are used to the Final Fantasy's of the world then perhaps you may want to skip this one.